Note:You can verify download integrity with our CRC check tool. 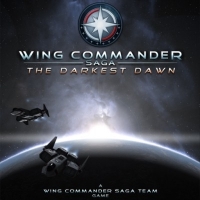 We are pleased to present you with Wing Commander Saga: The Darkest Dawn. It's humanity's most desperate hour, a desperate struggle for survival against impossible odds, and you've got a front row seat.